Hey everyone! It's Candace from Candi O. 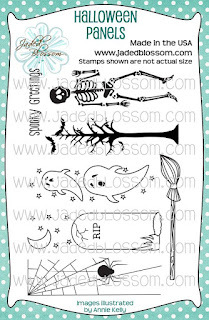 Designs and it's my day over at Jaded Blossom and I am sharing a project today using the Monthly Spotlight Stamp Set ~"Halloween Panels". 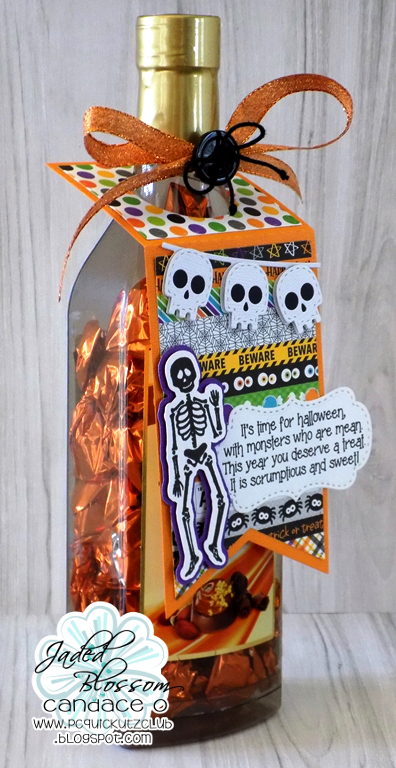 I found this wine bottle full of orange candies and thought it would make for a perfect Halloween Treat! 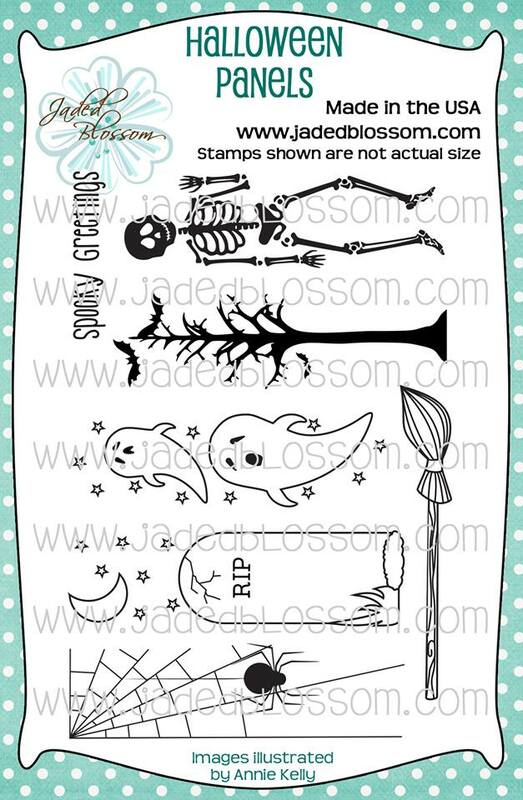 your own Halloween Panels Stamp Set at a great price this month! 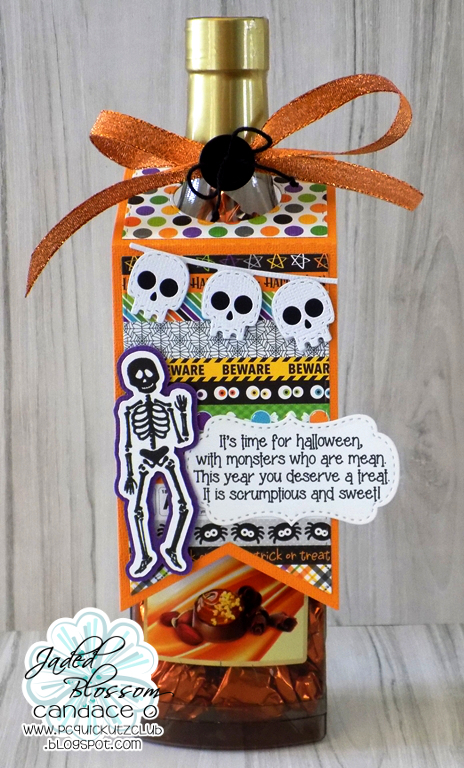 Love this project, it is super cute! 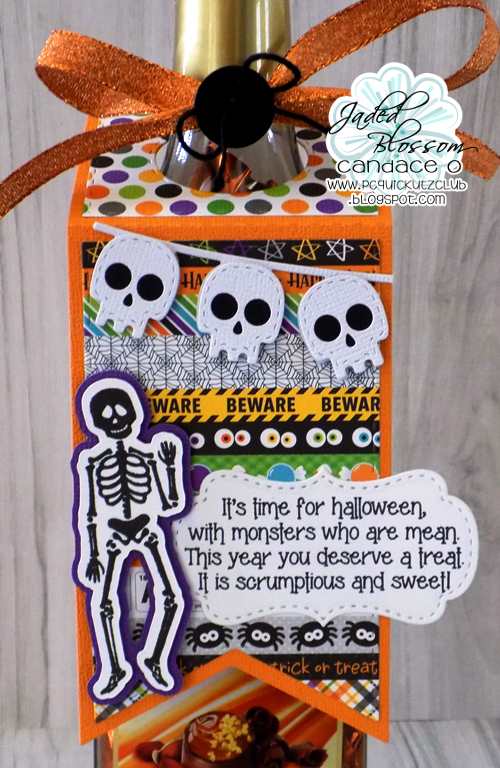 Very cute and fun tag! !